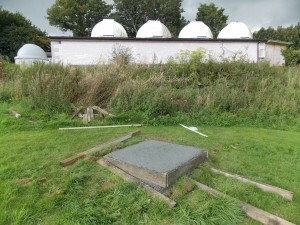 With the location for telescope confirmed and foundations dug in build day 1. The stage stage of the construction process concerned the foundations. There was considerable debate amongst the engineering team as the nature of the foundations. Research of previous systems revealed a varity of methods, from digging a big hole and filling it with concrete to a more simple and cost effective solution of a spread and wieghted base. 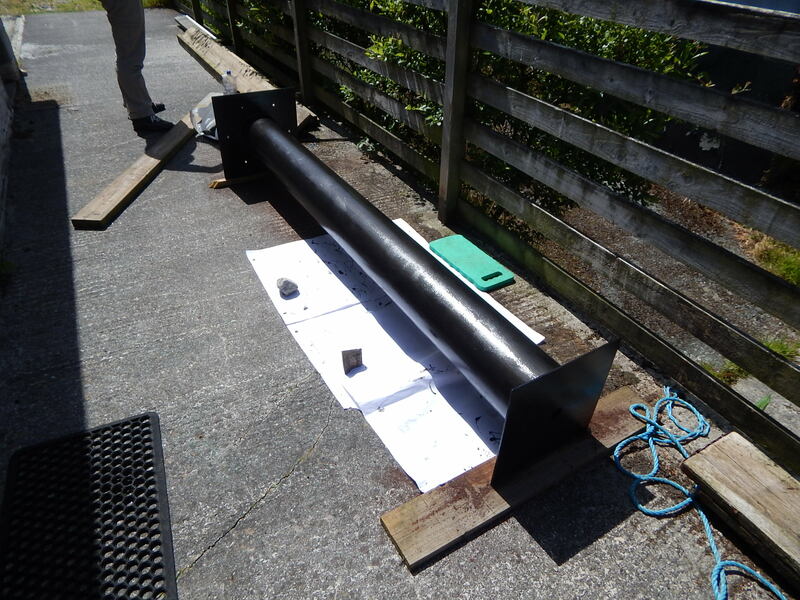 Initailly the team persued a small concrete base supportted by 4 struts, each secured to the ground with half-metre steel rods. However, this plan was binned when Caradon were kind enough to present us with a more substantial telescope specific stand that we derusted and painted. This more substantial stand would be able to take everything the elements could through at it but would require more substantial foundations. 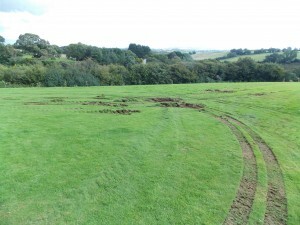 Hence the plan to dig the 1m square hole covered in build day!. Such a significant hole would require a lot of concrete to fill. Budgetting for the hire cost of a cement mixer and several tonnes of concrete and water, it was some relecutance the team were planning up to 12 hours of mannual labour required to mix, pour and repeat to fill the hole. 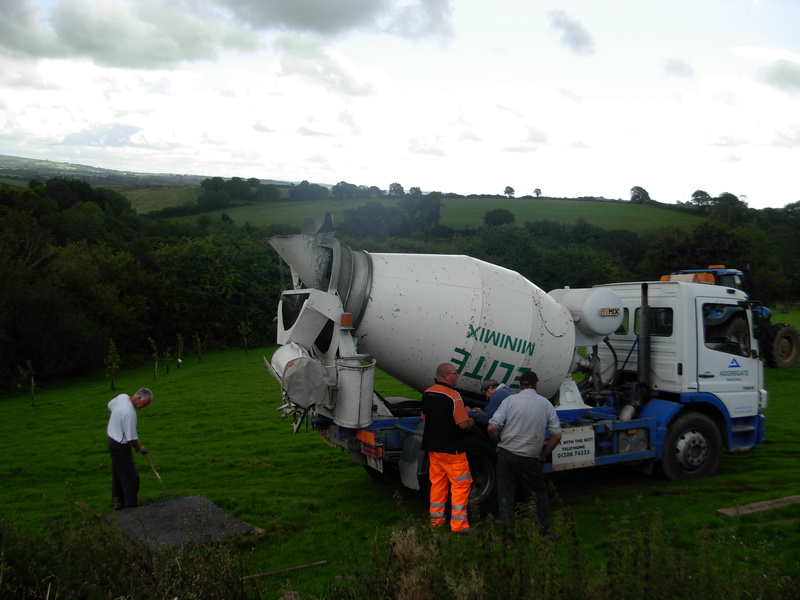 However we were saved from this back breaking labour by the owners of Caradon who said they would be able to get hold of professional concrete mixer for a knock down price. This seemed a far simpler solution, however when building a telescope, nothing is as it seems! Ken spent week after week ringing round local suppliers, trying to haggle down to a reasonable price however a June bacame July and became August there was no sign of the concrete arriving and XRT-C HQ were starting to worry that the phantome concrete mixer would never appear. Eventually the entire building population of Cornwall returned from thier summer holidays and got in contact. Ken was able to secure concrete at a cost of £218 and we agreed to split the cost 50:50. 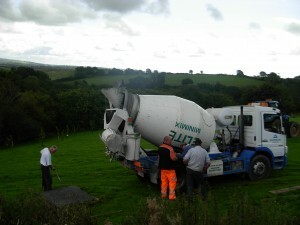 The concrete was delivered on the weekend of 22nd August. However even now the task of laying the foundations remained complex and fraut with difficulty. The industrial concrete mixer quicky got stuck in the lawn, the composition of which had been weakened by the wet British summer. 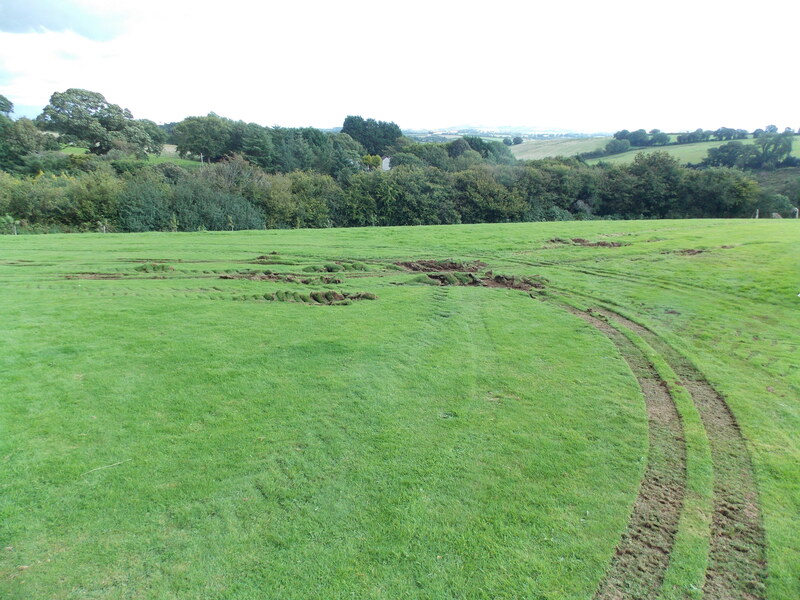 An emergency tractor was drafted in to extract the mixer, and further destroying the lawn. Eventually the mixer was placed in position and the foundations laid before further asistance from the tractor was required to salvage the mixer again! All in all a bit of an ordeal but we now have foundations which will be set and ready for build stage 3 by the 4th Sept. With the new academic year approaching we are now back on schedule.